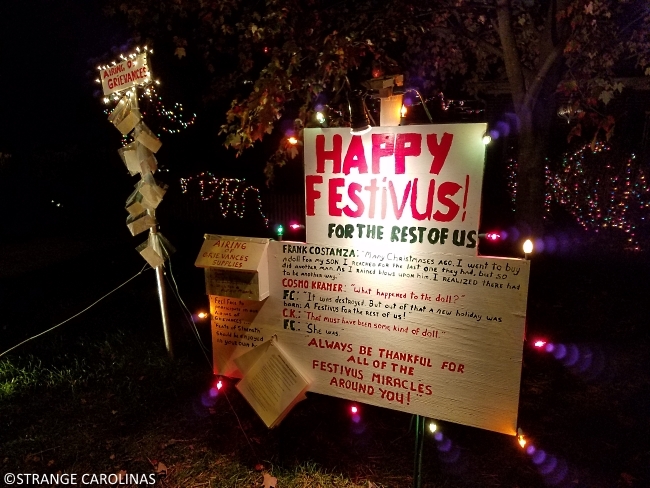 A Greensboro family has been celebrating a Festivus for the rest of us for several years. 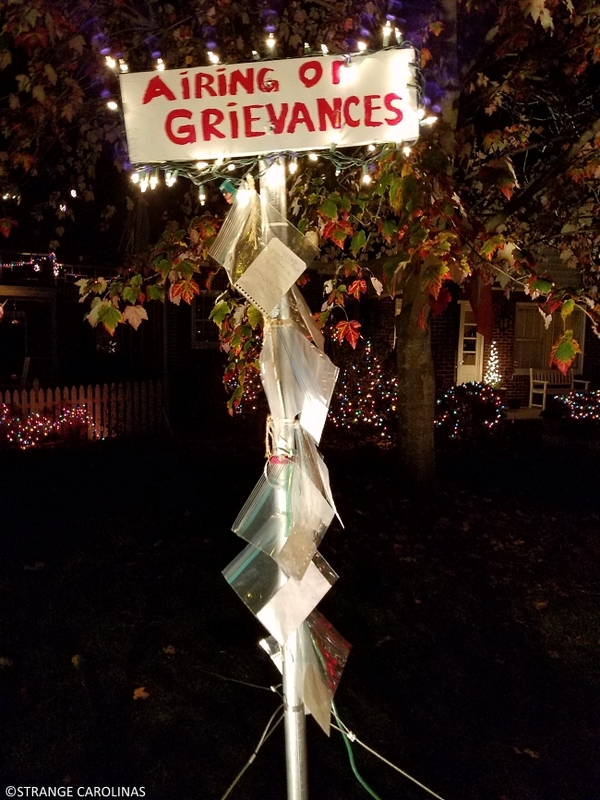 They have erected an aluminum pole in their front yard where people can air their grievances. 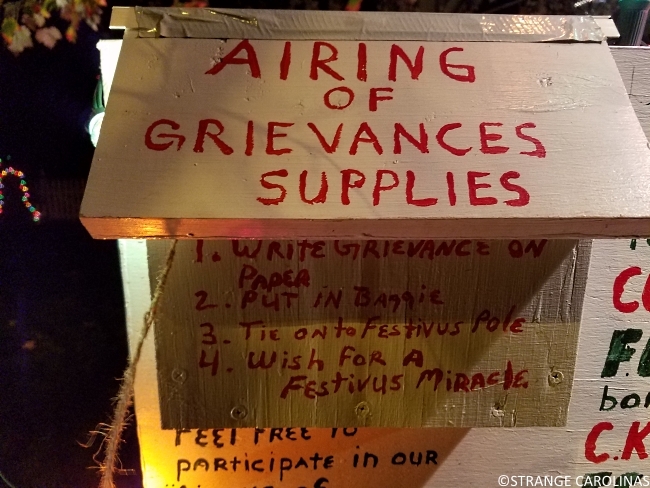 People are welcome to write down their grievances, put them in a Ziploc bag, tie them to the Festivus pole, and "wish for a Festivus miracle!" 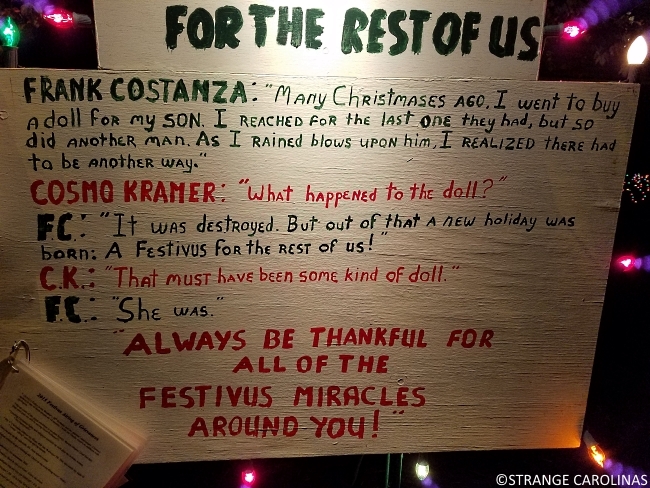 The family has laminated people's Festivus grievances from years past so future generations can enjoy them. 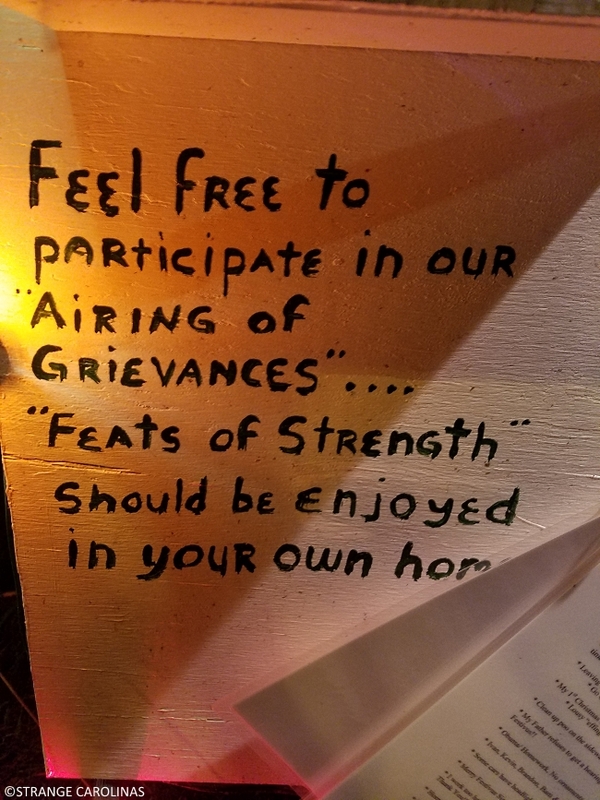 In fact, the only thing missing from their display is that they encourage you to practice your feats of strength in the comfort of your own home. 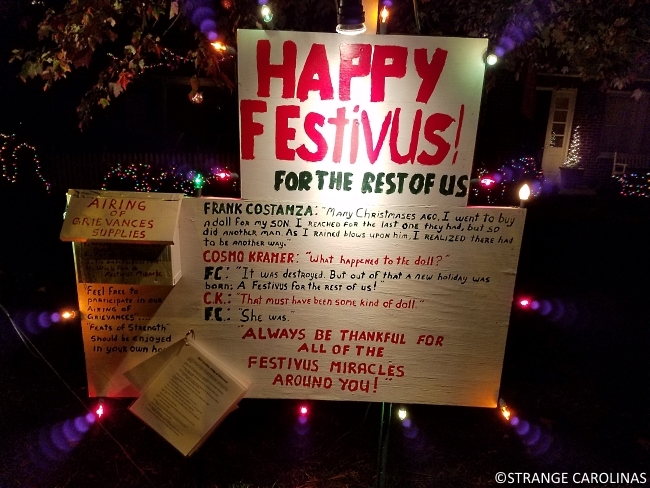 Happy Festivus everyone! We hope you enjoy your holidays and we'll be back in 2017!